Kingjung is a small village of 90 households in Tuensang, 108 kms south-east of Noklak, along the Indo-Myanmar border. To reach there one would have to go through perilous mountain roads that become inaccessible during the monsoons. 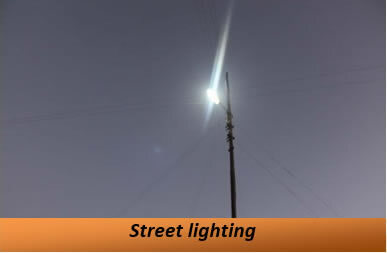 Although it was only in 2008 that the village was connected to the rest of the world by a newly constructed road, it has since then has the distinction of being the only village in the area to have uninterrupted power supply -for the past three years. This came about when the villagers approached NEPeD in 2009 evincing their need for electricity. This need became more apparent when on instruction from NEPeD they themselves constructed a 2.5 km long power channel, a fore bay with a de-silting tank within 4 days. A 3 kW Hydroger was thus provided and installed with full community participation. As part of a Pilot project, a team from NEPeD decided to reinforce the electrification at Kingjung. 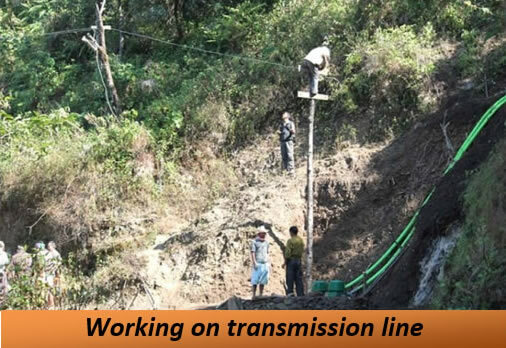 In November 2012, the team successfully installed 2x3kW Indigenous hydrogers provided with ELCs developed at CERES, Dimapur. Each household was provided with a 3 point connection. Neighbouring villagers would walk miles to charge their mobiles and emergency LED lamps. 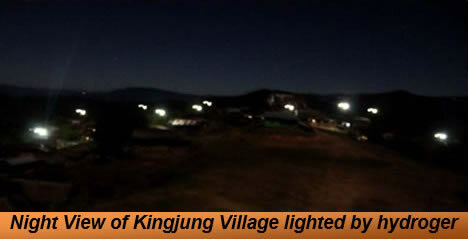 Kingjung, a village unknown to the outside world proudly has uninterrupted and Green, sustainable power supply. The impacts of these small machines have been tremendous. A deep sense of ownership has developed and their understanding of technology is reflected in their ingenious method of splitting L/T aluminium wires for transmission, repair of CFL bulbs and in the fitting and servicing of the machines. Dependence on candles, kerosene and pinewood for lighting is now redundant while tremendously saving on time and money. Livelihood activities, educational performances and revenue generation have been enhanced. The wave of change brought by the Hydroger is astonishing. Not only has it given them electricity but has improved their quality of life. There has been participation of women and NEPeD has also gone the extra mile to educate the community on matters relating to sanitation, health and most importantly by giving them a voice in village decision making. The villagers have passed a resolution to conserve the catchment areas. The pine forests have now been conserved for future generations. Kingjung village is on the path to become an international rural tourist hotspot for what they have achieved in such a small window in time.